Which tumble dryer brands can you rely on? You expect your tumble dryer to last for 10 years before developing a fault. But our research* shows you’ll need to choose carefully for your tumble dryer to last this long before breaking down. Two brands come out on top for reliability. Both have 91% of their tumble dryers still in perfect working order eight years after purchase. In comparison, the joint worst manufacturers have just 68% of tumble dryers remaining fault-free over the same time period. Pick the right brand and you’ll greatly decrease your chances of shelling out for costly repairs, or even a replacement tumble dyer, before you want to upgrade. See our guide to the top tumble dryer brands for 2019 to find out which brands come out on top. How much do you need to spend to get a reliable tumble dryer? You don’t have to spend more to get a tumble dryer that will last, even though the top scoring brands for reliability will set you back upwards of £500. 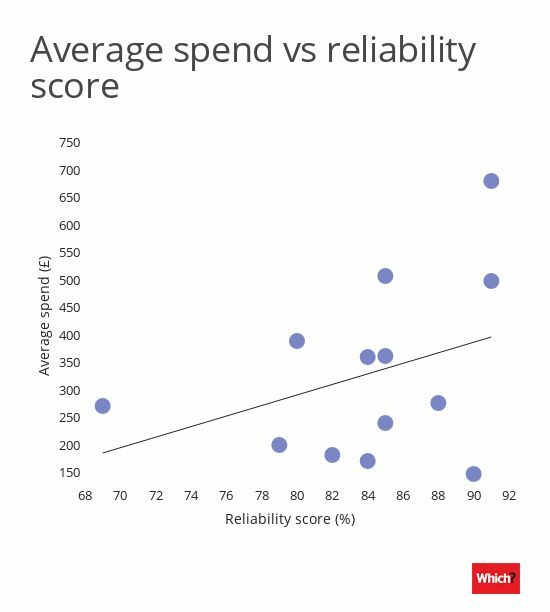 Our second most reliable brand has an average spend of under £300. If you’re looking for great drying on a budget, see our guide to the best cheap tumble dryers for 2019. Are reliable brands best at drying? Buying a tumble dryer that will last is really important. But you also want it to do a decent job of drying your clothes. 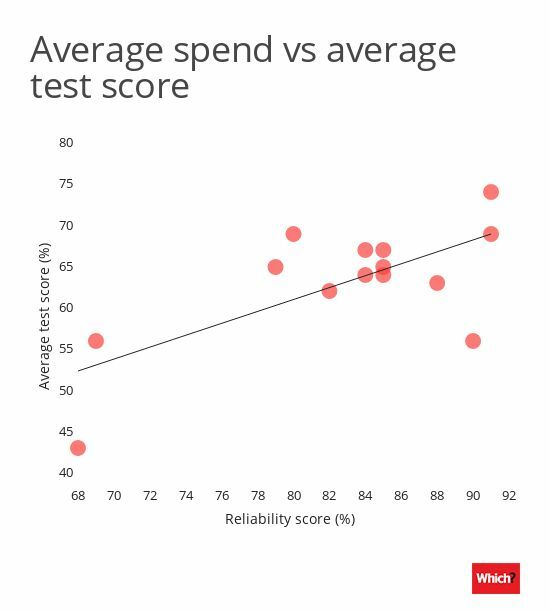 Our research shows that the most reliable brands also score highly in our drying tests. It’s also worth knowing that we penalise manufacturers with a poor reliability record when it comes to awarding our Best Buy badge for products so you can buy with confidence. If a brand gets two stars or less for reliability, we won’t award a Best Buy unless the product comes with a five year warranty. See all our Best Buy tumble dryers. 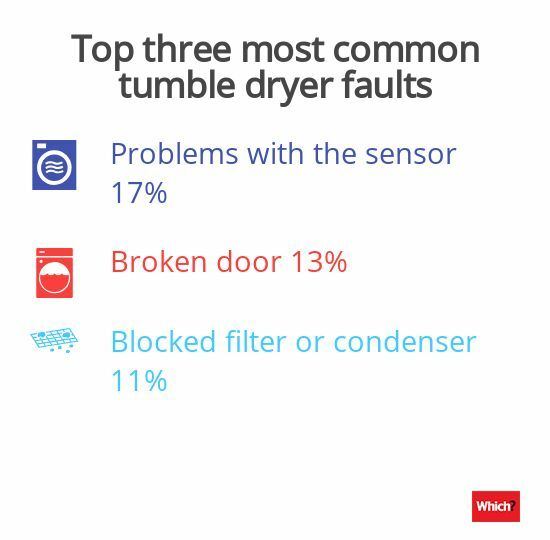 The most common fault you’re likely to experience with a tumble dryer is with the sensor. This is the component in automatic tumble dryers that measures humidity inside the drum and stops the program at the right time. 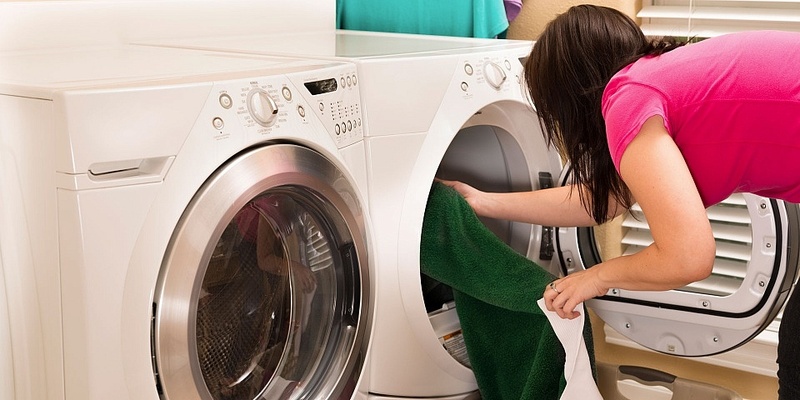 If your sensor isn’t working properly, you might end up waiting an age for your laundry or pulling damp clothes out of the drum when it’s finished. Luckily, it’s easy to keep your sensor in good working order. You should wipe down the bars with a cloth soaked in white vinegar every few months, or when you notice a drop in drying quality. You should also clean your tumble dryer’s lint filter after every use. If you have a condenser dryer, you’ll also need to clean the heat exchanger, the panel found at the bottom of the machine, under the drum. Take it out of the dryer and run it under a tap to remove all the debris. To read more on getting the most out of your tumble dryer, see our top tumble dryer tips and maintenance guide. *We surveyed 2,850 Which? members in October 2018 to find out when their dryer experienced a fault, what problems they encountered and how happy they are with their tumble dryer.